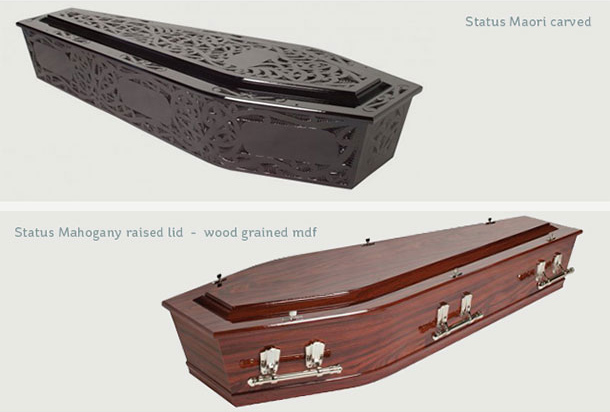 To illustrate the range of choices we have available please have a look at a few of our more popular caskets shown here. 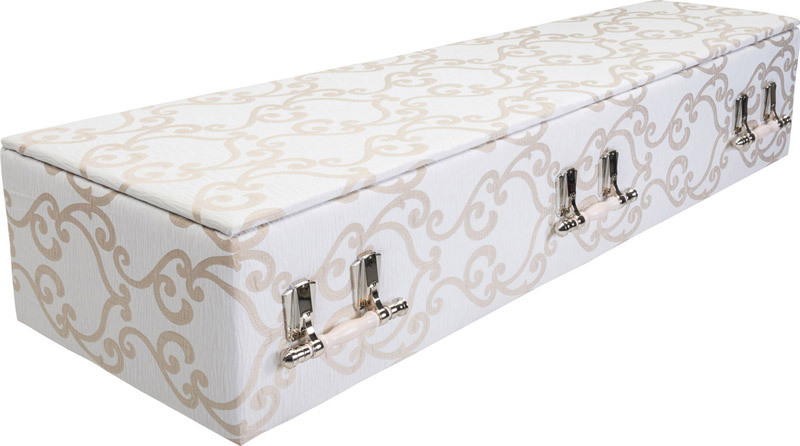 Casket selection is an important part of the funeral process. 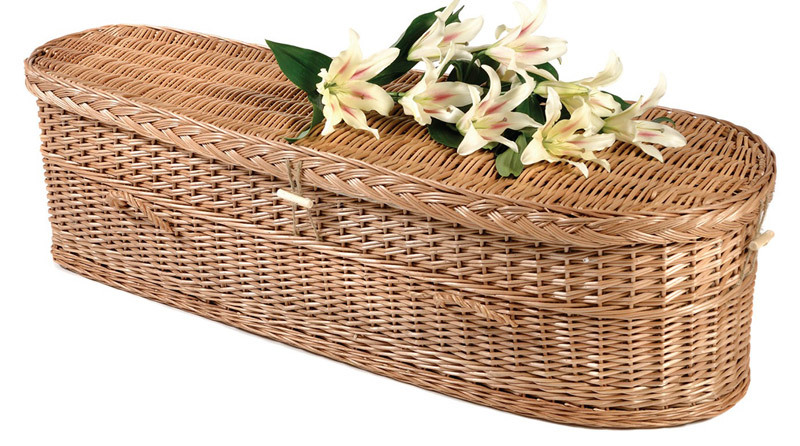 We offer families the choice of visiting our casket selection room or making a selection from photographs which our funeral directors have in an album when arranging the funeral. 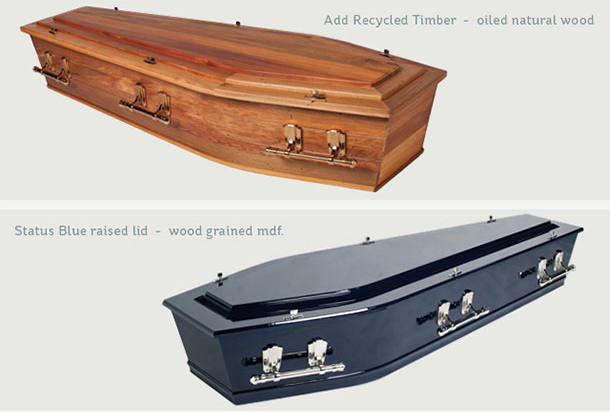 We are able to offer a range of caskets and ashes urns, to accommodate personal preferences or budget. 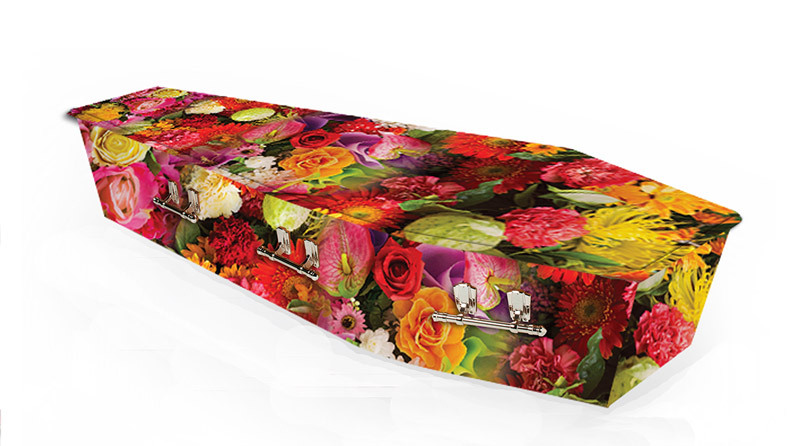 The style of casket chosen can help set the desired theme for the funeral service or help to reflect the individuals personality or style who is resting within. 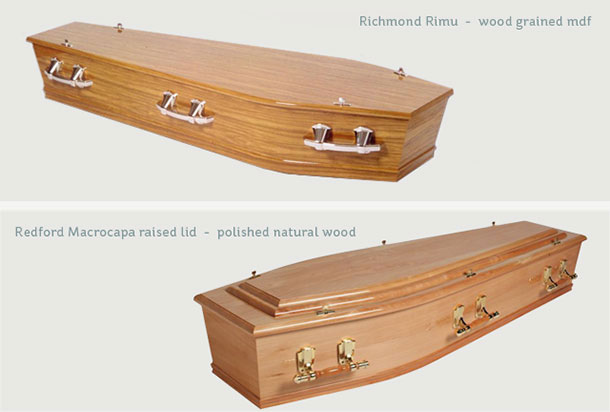 Our caskets are offered with a range of interior linings, decorative handles and embellishments eg., RSA badge, Rest In Peace, Silver Fern. 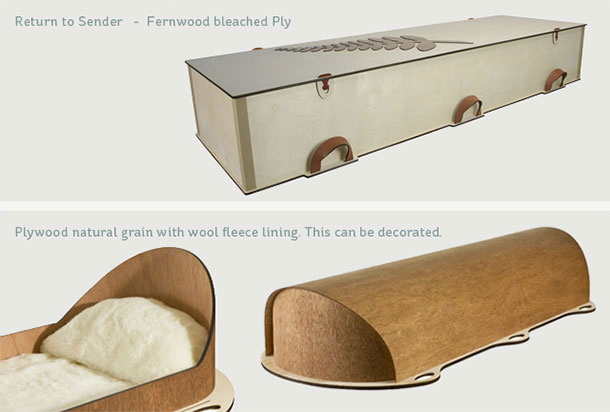 Caskets can be of timber, woodgrain veneer, cardboard, painted and metal finishes or an eco-friendly natural timber or ply option. 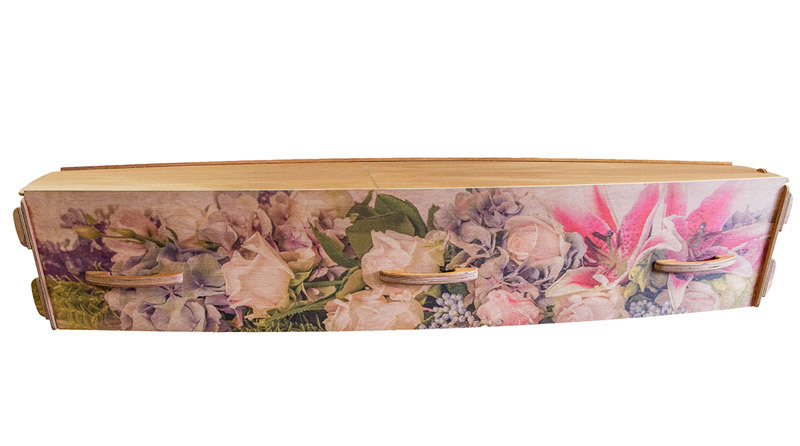 We also have a variety of urns for cremated remains (ashes). 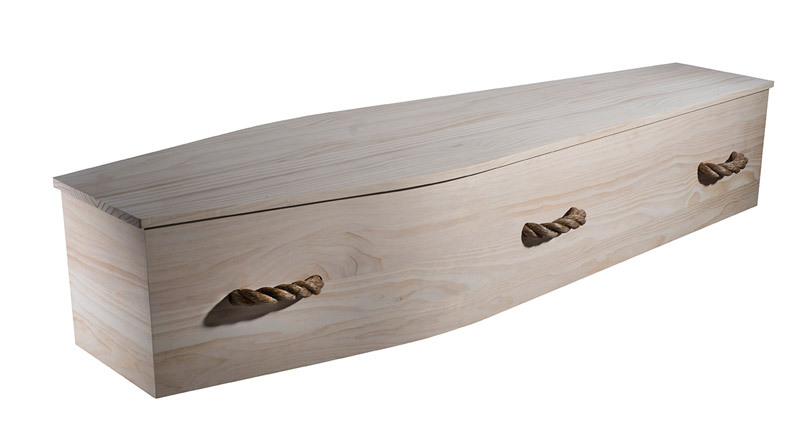 These are available in wood, pewter, ceramic and bronze. 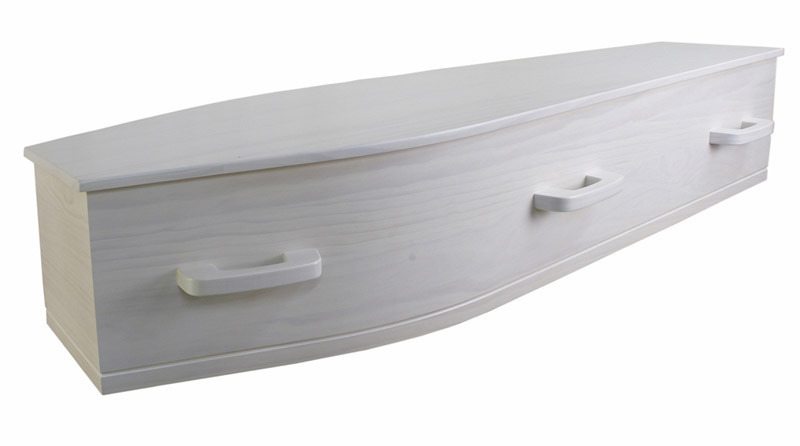 They can also be customised with vinyl graphics of your choice.